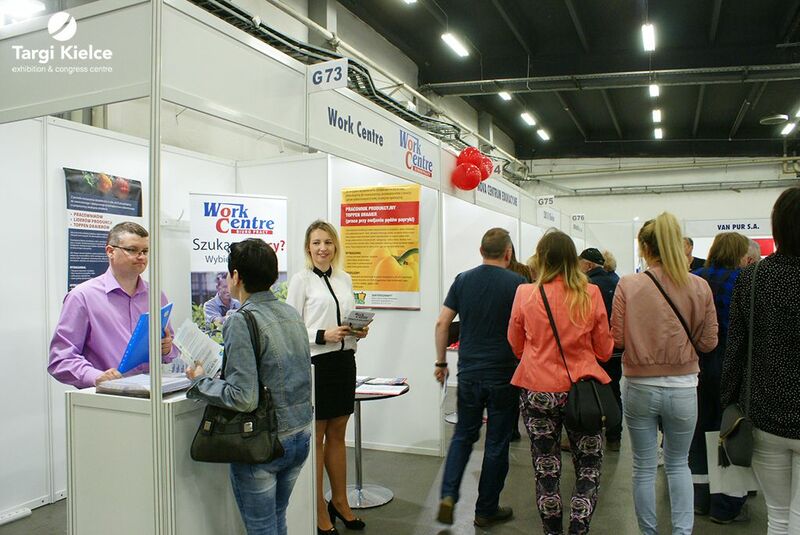 On 25 April, Targi Kielce was the home for the 21 National Employment Fair. The event abounded with interesting job offers and paid internships offered by numerous employers. The event, following previous years' example was a unique one-stop-shop - visitors has consulting companies, training centres and future employers at hand. 102 companies joined this year's event. The exhibitors group includes representatives of such companies as ASWENT VENTILATION AND AIR CONDITIONING, AUCHAN POLSKA, CHEMADIN EXPORT, EFFECT GLASS, Central Office of Measures IN WARSAW, BINKOWSKI HOTEL and many other. Job seekers who decided to visit the Kielce exhibition centre had the chance to browse in nearly three and a half thousand different offers ranging from simple physical jobs through profiled positions for specialists. Logistics and storage specialists, accountants, postman and also automotive tinmans, confectioners, electricians and florists were very much in demand. The international character of the event was emphasized with the presence of companies from the Netherlands and Germany. This year's XXI National Employment Fair hosted almost 2,500 job seekers. This visitors-related trend has been observed for many years. The National Employment Fair was held under the honorary patronage of Elżbieta Rafalska, the Minister of Family, Labour and Social Policy. The National Convention of the Labour Agencies provided its contents-focussed supervission.